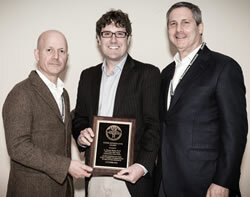 The following awards are presented annually at the Society for Melanoma Research Congress. This award is presented to an individual who has made major and impactful contributions to melanoma research throughout their career. This award was established in 2010 in memory of Estela Medrano. 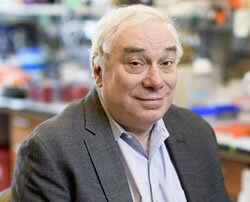 Estela was a leader in the study of TGFb-related signaling in melanoma as well as senescence. She was also an active participant in SMR activities and was about to become the new secretary/treasurer for SMR. Estela was tragically killed in an automobile accident in August 2010. 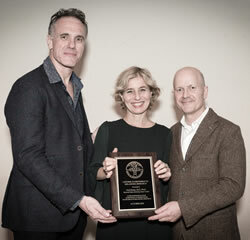 Although originally given to the keynote lecturer at the Society for Melanoma Research annual international congress, in 2013, an ad hoc review committee recommended that specific consideration be given to a woman who has made major contributions in the fight against melanoma to fully honor Estela's memory. Now sponsored by the Melanoma Research Foundation this award is presented to an individual who is an independent researcher, in the junior stage (typically within first 5 years) of their career and who has made contributions in the area of melanoma research that significantly exceed the average for this career stage. Established in 2013 this award is presented to an individual or group for highly impactful, major discoveries in the field of melanoma within the last 5 years. 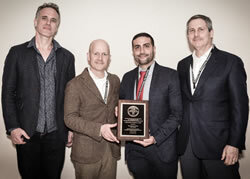 Established in 2015 at the SMR congress in San Francisco, the Society for Melanoma Research in partnership with the Melanoma Research Foundation Congress established The Christopher J. Marshall Award For Studies on Signal Transduction and Melanoma. 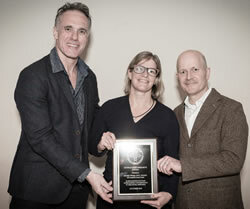 This award is presented to a student who has made substantial published and original contribution to studies of signal transduction and melanoma within the previous two years. The award’s focus on students, fellows or new PIs is in keeping with Chris Marshall’s dedication to mentoring and training new generations of cancer scientists. The following awards are presented at the discretion of the Steering Committee for outstanding contributions by individuals or groups working closely with the Society for Melanoma Research in expanding education, sponsoring legislation and supporting the overall mission of SMR. 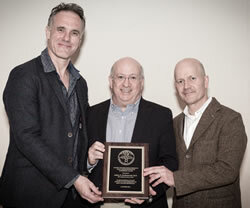 This award is given to an individual or group whose work has been at the forefront of skin cancer prevention. This award is presented to individuals or groups that have provided outstanding support to the Society for Melanoma Research in the delivery of the organization's mission. This award is presented to individuals or groups that have done outstanding work in advocacy or education for the advancement in the fight for melanoma prevention and treatment.